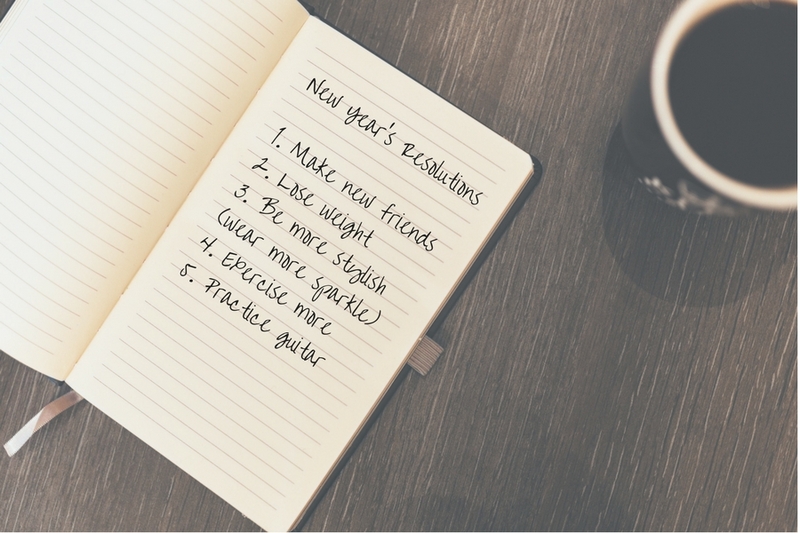 3 Types of New Year's Resolutions, and How to Keep Them. 1. Take the training wheels off fashionipa.com, and start connecting. 2. Add more music, wellness, and sparkle to every day. 3. Be softer and stronger. Later that day, I had a flashback to my martial arts days, when a part of my job was to talk about setting goals and breaking them down into measurable steps. In the spur of the moment, I had forgotten my own advice. So today, I reworked my Instagram/New Year’s resolutions into three styles that work: the Detailed List, the Planned List, and the One Word Resolution. You can choose, one, two or all three. One of the reasons that we fail to keep our New Year’s resolutions is that many of us choose vague goals or ones that need more time and attention than we can give them. Did you know that January 17th is Ditch New Year’s Resolution Day? The origin and reason for that date are unknown. I suspect one person admitted defeat that day, and a bunch of their friends adopted it (thanks, social media). In any case, if you’re not planning to jump on that failure bandwagon, make sure that your resolutions fit with your current lifestyle, include timelines, and ways to measure progress. For example, this set of resolutions is destined for a swift death on January 17th (or whatever date you choose since you never know if you’ll start a new trend). This one is much more specific and easy to track. If you write your list on paper, put it somewhere where you will see it often. Then move it now and then. Why? After a while, your list will start blending in with whatever background it is on, and you’ll forget to look at it. Your phone, with reminders, may be a better option. Post it on social media, if you don’t mind making it public. We are more apt to follow through with promises if someone knows about them. One of the reasons that I initially rejected New Year’s resolutions, was that my schedule changes throughout the year. I may resolve to do three yoga classes a week, but as soon as my kids have a break from school, I’ll be lucky to find ten minutes to stretch. Setting goals every month, week or day, gives me the flexibility that I need. 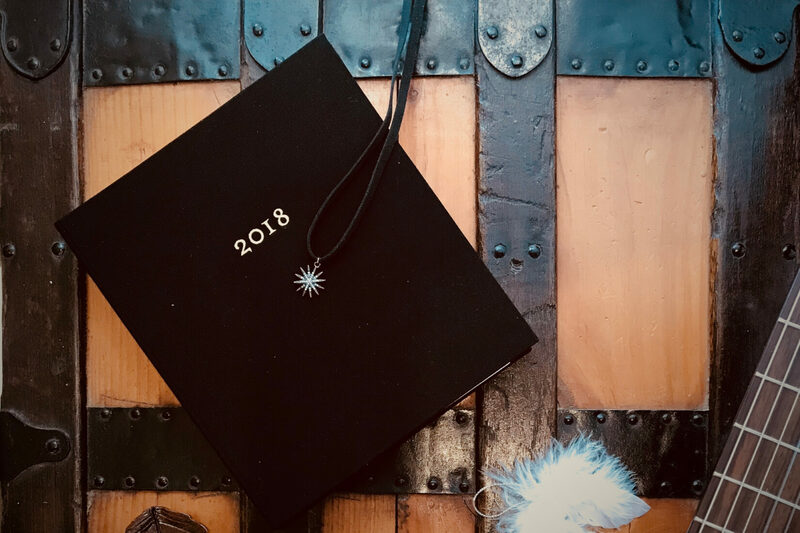 My tool for these short-term goals is this beautiful fabric bound planner that I received in my Winter 2017 Box of Style . Considering that I’m already spending most of my day on my phone or laptop, it makes a nice change to write (the old-fashioned way). In this planner, I break down my Detailed List, even further. You don’t have to do both. My goals for this month are to e-mail friends about my blog (add subscribers), practice yoga every day (exercise) and start practicing guitar again. For this bitter cold week, my style goal is to add a little glamor to every #OOTD. Although I’ve dug up my cozy leggings and soft sweatshirts from their fall hiatus, I am also wearing that sparkling La Soula pendant in the photo above. If your life is already structured and goal oriented, then the best way to set a resolution may be to pick one word. This word is more of a theme, or intention, for different aspects of your life. In a quiet moment, ask yourself, what you want to do, most of all. This resolution doesn’t need a timeline, or specific steps, but should be something you really want. It’s one of the reasons that I started this blog; to connect with others who love fashion. Perhaps in the future, I’ll also start discussing food, and furnishings too. Oh dear, I think I just set another couple of goals. I’d better stop here before my list of resolutions gets out of control. Before I go, I hope you are having a healthy, happy new year! Feel free to comment below if you have resolutions to share. Pingback: 5 Essential Accessories For An Instant Style Upgrade.